Our Costarican home is the perfect portal to a restorative vacation. This 3 bedroom 1 bath condo has living rooms with screen TV. 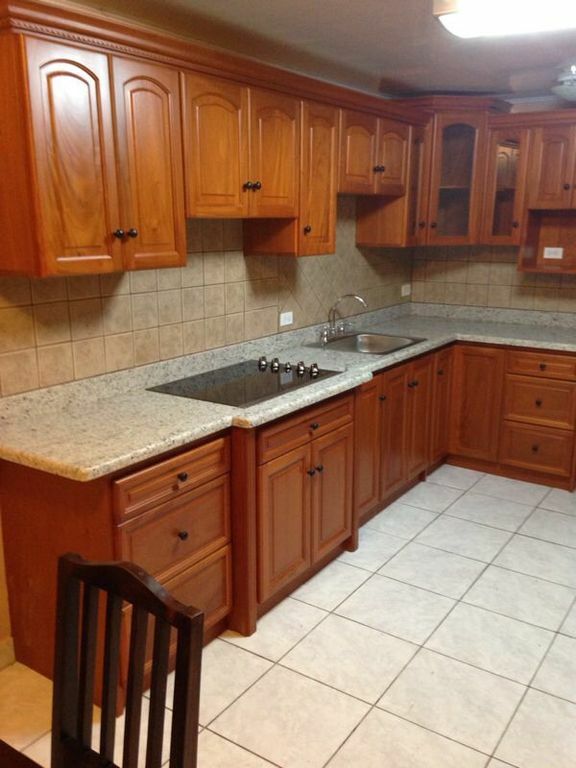 Beautiful brand new kitchen with all appliances. washer and dryer for your comfort. Wifi to connect with family and friends. This condo is available for rent and she has all the equipment necessary for your comfort. The neighborhood consists of private residences, especially weekends visited by their owners. Minutes walk to the beach.The beach stretches for 10km is public and not crowded . We are 85 km from the Juan Santamaria International Airport and 90 km from the capital San Jose. All services: restaurants , grocery stores, pharmacies, banks, clinics , hospitals , church, ATMs, bus and taxi station are nearby. Our central location allows to visit the most attractions of the country with a return trip in the same day . What to see and do, visit different volcanoes ( Arenal, Rincon de la vieja , Tenoro , Poas , Irazu ... ) , visiting national parks with their trails natures rainforest (Carrara 30km , 140km Manuel Antonio, Monteverde 60km, to name them) , mini- cruise tours Calypso catamaran with point of embarkation in Puntarenas (10km) to visit Isla Tortuga and snorkeling among tropical fish , visit a farm culture orchids for export 20km different canopy tours including Adventure park Miramar 15km which has the longest zipline in the country with spectacular views over the bay of Nicoya during breaks and where activities can be combined to riding , mountain biking, climbing . Visit the coffee cooperative Naranjo (planting and processing) 60km . Golf at Los Suenos 45 km , surfing , rafting, fishing, paragliding, or simply walk along the picturesque road to visit different beaches and friendly villages of the country not to mention the discovery of the capital with its suburbs both modern and historic and its 2 million inhabitants.